What Justifies a Police Officer’s Suspicion of Drunk Driving? A legal question that often arises in Florida DUI cases is whether a police officer had “probable cause” to stop a driver. The police cannot simply pull over someone because they have a hunch the driver is drunk. There must be some factual basis for the stop, such as the officer observing the driver is swerving or ignoring traffic signals. But there are also cases where an officer stops a driver for another reason and ends up discovering evidence supporting a DUI charge. A recent decision by the Florida Second District Court of Appeal illustrates how a motorist may be lawfully stopped and questioned by the police even when an officer has no reason to initially suspect a DUI. In this case, a Pasco County sheriff’s deputy received a call from a local restaurant reporting two dogs that had been left unattended in a car. The outside temperature that day was in the 90s and the windows to the car were up, and the caller was concerned that the animals might be in distress. The deputy arrived at the restaurant just as the owner of the vehicle drove away. The deputy spoke with the restaurant manager, who said the dogs had been left in the car unattended for upwards of 30 minutes. The deputy got into his vehicle and followed the defendant to a nearby hotel. At that time the deputy initiated a traffic stop to investigate possible violations of state and county laws prohibiting animal cruelty, not drunk driving. 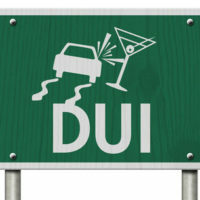 It is not clear according to court records what happened next, but the deputy eventually charged the defendant with DUI, driving with a permanently suspended license, and refusing to take a mandatory breath test. Before the trial court, the defendant moved to suppress all evidence gathered during the stop–essentially the prosecution’s entire case–because it was an “unreasonable” search under the Fourth Amendment to the U.S. Constitution. The judge agreed and granted the motion to suppress. But the prosecution appealed that decision, and the Second District reversed the trial court and returned the case for trial. The defendant and the trial judge maintained that once the deputy saw the dogs were alive and unharmed, he was obligated to “walk away” absent any further evidence to suspect drunk driving. The Second District disagreed. The appeals court said even after determining there was no animal cruelty, the deputy was legally permitted to “make contact with [the defendant] to explain the reason for the stop.” Additionally, the deputy testified that his investigation had not been completed and he had the right to ask for the driver’s identification so he could run a check its validity. The Second District agreed this did not violate the defendant’s constitutional rights. Dealing with a traffic stop can be stressful even when you know you have done nothing wrong. But if you are arrested following a stop, the first thing you need to do is contact an experienced Miami DUI defense attorney who will fight for your rights in court. Contact the Law Office of Julia Kefalinos today if you need to speak with someone right away.